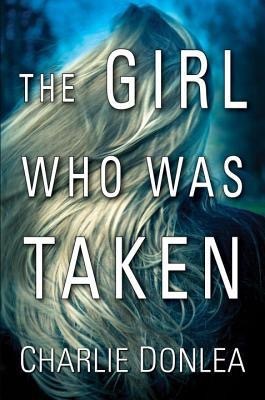 Charlie Donlea, one of the most original new voices in suspense, returns with a haunting novel, laden with twists and high tension, about two abducted girls one who returns, one who doesn’t and the forensics expert searching for answers. Do you like to read books that may take a short time to warm up, but then when they do, things take off at a breathtaking pace? Or how about books that are intricately plotted with a cast of well drawn, realistic characters? What about books that skim the boundaries of genre labels and just do their own thing? If you found yourself nodding along while reading that, then I have the book for you! Stories that focus on the aftermath following an abduction are always quick to draw my attention and though this started off a tiny bit slow, I was still hooked rather quickly. The beginning focuses on Livia as she’s completing her residency in pathology and there is quite a bit of medical jargon used, but that type of thing interests me and Livia’s POV was a new one for me. It uses an alternating timeline from the weeks leading up to the abduction and then over a year after Megan escapes and Nicole is still missing. The chapters are short and extremely fast paced and as things flip back and forth, you slowly but surely find out what happened. Nicole’s flashbacks have crossover appeal as they had a YA feel to them, adding to the realistic writing throughout. There were a lot of hints dropped that mislead me and in no way did I have it all figured out, Donlea didn’t take the easy way out by going with the obvious answers, he executed some killer twists that left me gasping. I think this is one that will fool even the craftiest of readers, multiple times. At times it was dark as it explored some sick, odd obsessions but that made it all the more of a compulsive read for me. I also really liked the chapters where Megan was doing hypnotherapy sessions as it’s a subject that intrigues me. This was a fantastic, solid mystery that delivered on all levels. I’ve got this one on my TBR pile because of Annie’s awesome review. This one sounds really good! A great review as always Amy! It’s awesome I think you’ll like it! Sounds like a really good summer read. I like stories of abduction, too, although they do scare me to death. I think I’ll give this one a try. I want to read! Great review as always! You never steer me wrong!! If you love a book that’s on my TBR I get SO excited because that means it’s guaranteed to be great! Oooo sounds like a real page turner! I’m always interested in books that seem to defy the “laws of genres” and seem to be their own genre in and of itself. Me too, I think it’s difficult to pull off but when it works it’s awesome.